New Year - it's magic, new developments, new ideas. As the company prepares for IKEA new Year? 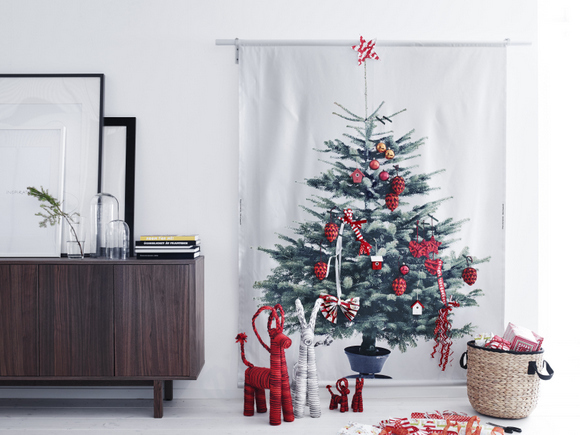 During December passed a few interesting projects of the Swedish manufacturer of furniture and home accessories. One of them - "It is not a prescription, but a fairy tale". Since the beginning of the month and every week online IKEA.ru/skazki Fabulous recipes appeared, each containing a fascinating story that could inspire culinary achievements not only adults but also children. Another interesting project seemed to us - "New ideas to cook"Which took place in the social network Instagram. The highlight of the project is that the recipe this time, not products, and emodzhi. Yes, you understood correctly! Emodzhi - it smiles from your smartphone. Rules of the game: anyone could publish a picture empty plate, and in the comments - emodzhiIn an amount of not more than 5 pieces. And then we have the company IKEA will offer you how to cook a delicious dish from the offered ingredients you. The three most creative authors IKEA has prepared a cash prize in the form of a gift card to 3000 Russian rubles. And, of course, gifts! 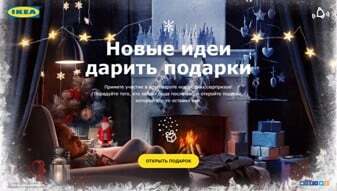 Visit the website www.podarok.ikea.ru, log in (you can use social networks) receive and give gifts in return! A great idea to share your positivity with complete strangers from different cities and even countries.